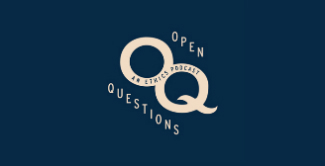 Check out Open Questions: An Ethics Podcast, hosted by philosophy PhD candidates Jeremy Davis and Eric Mathison, and produced through U of T’s Centre for Ethics. It’s available on SoundCloud, Stitcher, and iTunes. Davis’ research focuses on normative ethics, political philosophy, philosophy of law, bioethics, and aesthetics, while Mathison’s work is in the areas of ill-being and well-being, bioethics, desert, the philosophy of death, philosophy of sport, and applied ethics. The first episode of the podcast focused on the concept of achievement, while the second one addressed ethics in comedy and the concept of offensive jokes. A new episode will be released every Wednesday!